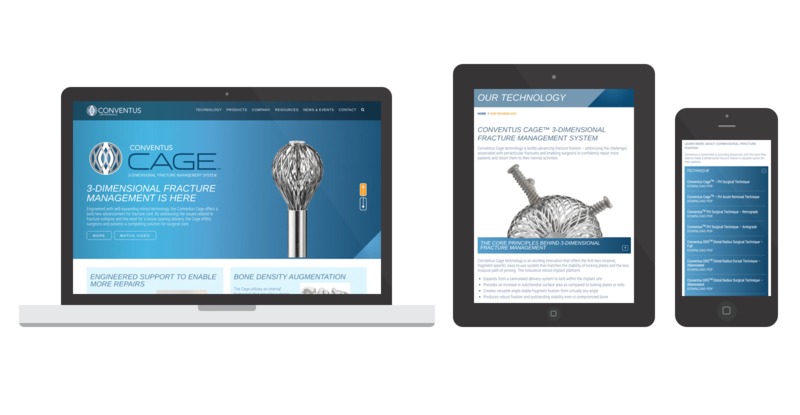 Conventus was formed in 2008 by a team of medical device professionals and physicians with the sole purpose of expanding possibilities for patient care by creating less invasive solutions to broad range of challenging periarticular fractures. The site needed to reflect a very unique product and market. The website is built as a responsive WordPress website and adjusts as the size of the screen adjusts. If you’re on a mobile device the text is easy to read and the layout is adapted for the screen size. This web development and design meets the highest standards and ease of use. The company needed to showcase their product and process using mobile devices including tablets and mobile phones. This website easily adjusts to its screen size giving the reader the best viewing experience.